The majority of my products are made to approximately 10ppm but this is left on longer to at least 300ppm. This means that it is even more concentrated at a higher quantity. 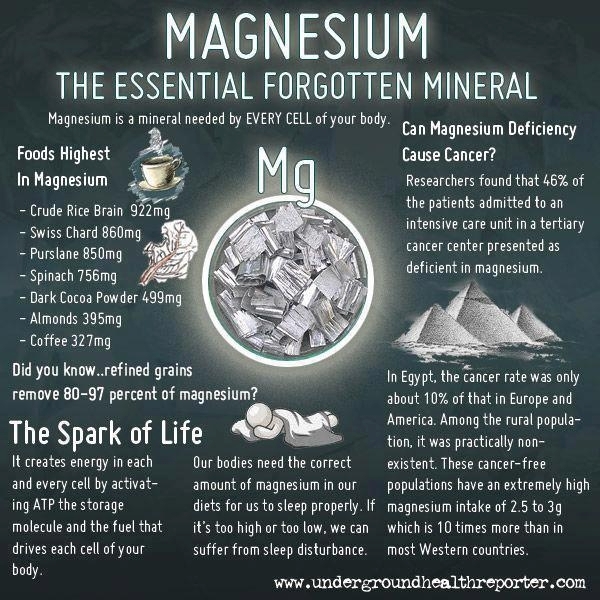 Since the majority of the population is deficient in this mineral this is an excellent way to get a large amount of magnesium back into our bodies. The name is derived from Magnesia, a district of Eastern Thessaly in Greece. 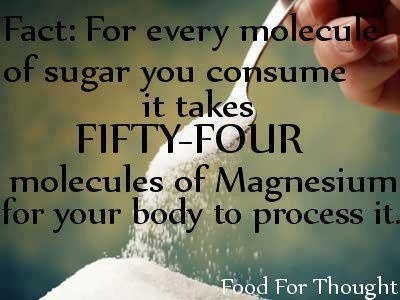 Did you know that for every molecule of sugar you consume, it takes 54 molecules of magnesium for your body to process it? "The typical American diet, which is rich in fat, sugar, salt, synthetic vitamin D, phosphates, protein, and supplemented calcium, not only is deficient in magnesium but actually increases the need for magnesium in the body." A poor diet plays a key role in magnesium depletion but is not the only cause. Other causes include soft water, certain prescriptions and over the counter medications, alcoholism and substance abuse, mental and physical stress, aging and certain diseases. A deficiency in magnesium has been linked to a long list of diseases and chronic health conditions including heart disease, hypertension, asthma, diabetes, fibromyalgia, osteoporosis, strokes, kidney stones, obesity and eating disorders. Magnesium is essential for bone, protein and fatty acid formation, making new cells, activating B vitamins, relaxing muscles, clotting blood, and forming ATP (energy the body runs on); insulin secretion and function also require magnesium. Our intake of this essential mineral has declined sharply due to modern day food processing which can strip away up to 80% of the magnesium. And the reliance on fast foods, in place of mixed diets containing green vegetables greatly reduces magnesium intake. Official figures show that up to 72% of women and 42% of men receive less then the recommended level of magnesium. Research from around the world is implicating magnesium intakes with a range of health issues including the health of the heart, the loss of bone strength as we age, health of the lungs, our vitality and energy levels and in women the monthly changes of hormone levels. Magnesium is called the anti-stress mineral. It is used to calm nerves, promote sleep and proper digestion. Magnesium works with calcium to support cell, tissue, and organ functions, and contributes to bone formation and mineralization. 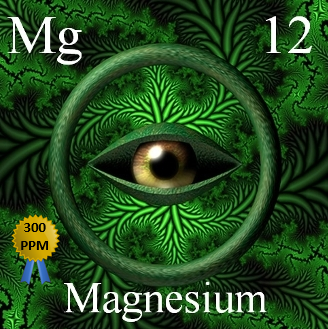 Magnesium attracts and retains water in the intestine, softening stools and inducing the urge to defecate. It is used to treat short-term constipation and for rapid emptying of the colon for rectal and bowel examinations. Magnesium is one of the few essential nutrients for which deficiencies are fairly common. Did you know that you need a minimum of 350 to 400 mg of magnesium, (preferably magnesium citrate if taken as a supplement), daily? Because of its effect on various enzymes, a deficiency of magnesium leads to a wide range of symptoms, including irritability, fatigue, insomnia, cardiovascular problems, pain, depression, asthma, premenstrual syndrome (PMS), muscle weakness, cramps, anxiety, panic attacks, migraine headaches and high blood pressure. Calcium and magnesium are essential for preventing heart disease, the nation’s number one killer. Within the last fifty years, research indicates that approximately eight million people have died from heart failure, due to a lack of magnesium alone. Magnesium deficiency symptoms include muscle weakness, fatigue, hyperexcitability, and sleepiness. Deficiency of magnesium can occur in alcoholics or people whose magnesium absorption is decreased due to surgery, burns, or problems with malabsorption (inadequate absorption of nutrients from the intestinal tract). Certain medications or low blood levels of calcium may be associated with magnesium deficiency. Severe deficiency symptoms could lead to tingling, numbness, and a sustained contraction of the muscles, along with hallucinations and delirium.